What started in Paris almost 30 years ago has morphed into a global event: Dîner en Blanc, a pop-up dinner where attendees dress in white from head to toe, pack their own picnic and join thousands of other white-clad diners to celebrate in a secret location. 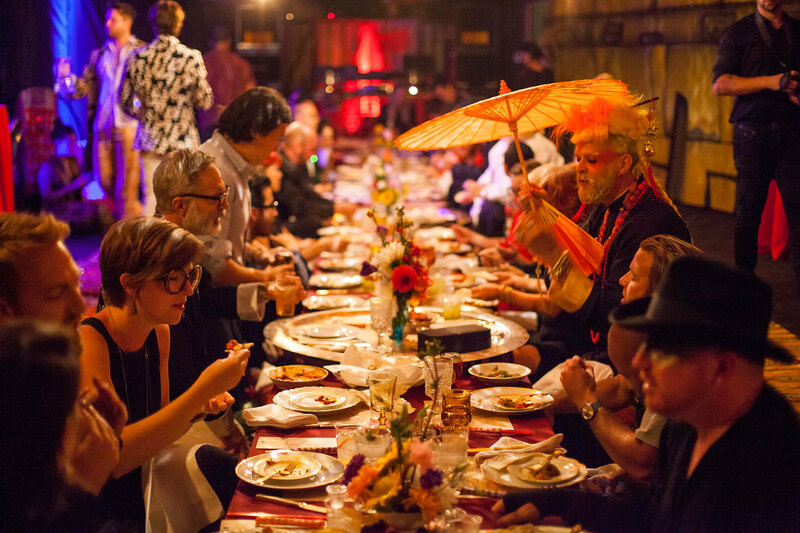 Now in its third year in Los Angeles, the legendary outdoor feast is back on November 4 for another evening fête. The location is revealed shortly before the event's start time, leaving guests to wonder where exactly it'll take place. Griffith Park? Hollywood Forever Cemetery? Downtown Los Angeles? Wherever the site, there's bound to be plenty of photo-ops, and more than enough Champagne and wine between the 2,500 other ivory-clad guests. 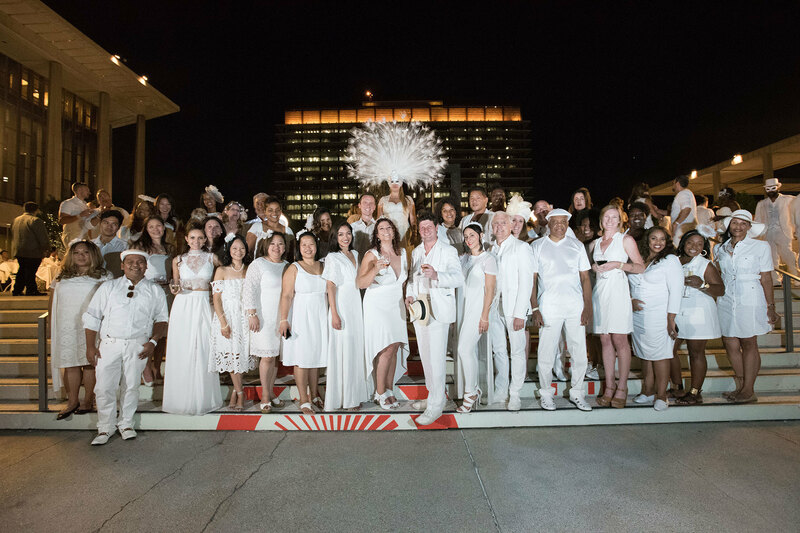 Here's everything you need to know about Dîner en Blanc in Los Angeles. 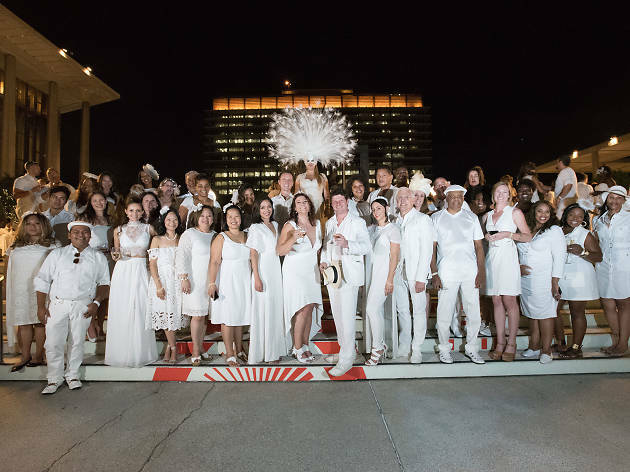 When is Dîner en Blanc 2016? 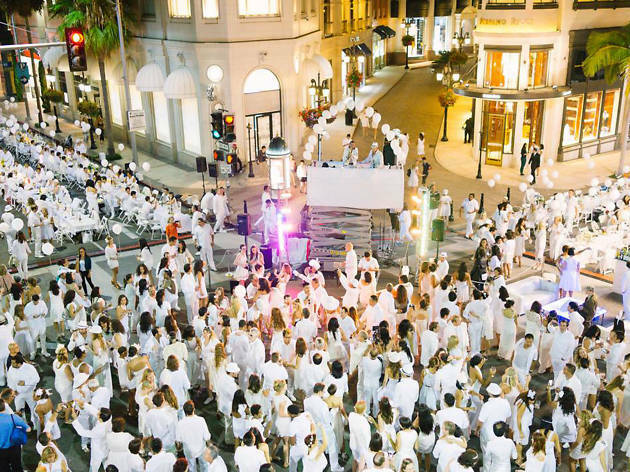 Dinner en Blanc 2016 will take place in Los Angeles on November 4, 6:30-10:30pm. Tickets are sold out, but you can put your name on the waitlist here to be notified the next time the event comes to town. Tickets cost $37, plus a $8 membership fee. 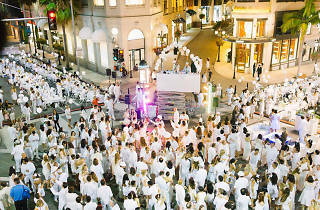 Diner en Blanc is a DIY experience. Guests must bring a square folding table measuring between 27" and 32" as well as two white folding chairs, white table decor, napkins, cutlery, dishware and your own packed picnic. Dîner en Blanc is 21+ only. Dîner en Blanc at the Music Center. Interested in other pop-up dining events? The best supper clubs in L.A. 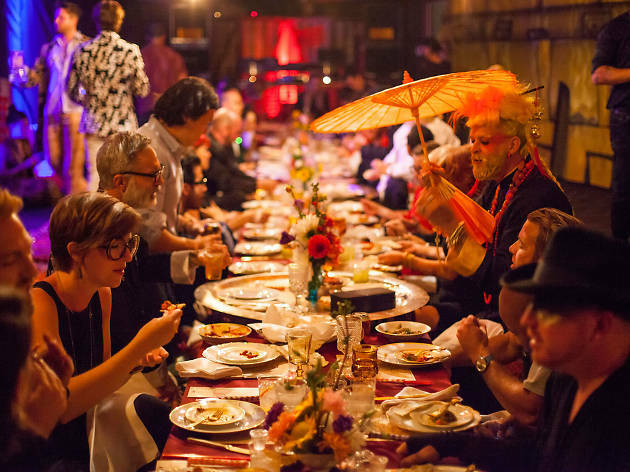 Check out our favorite supper clubs in the city.